I just want to take a moment to wish everyone a Happy Thanksgiving! I am grateful to you, my readers and course participants. Also, I know that this can be a frenzied week and time of year. 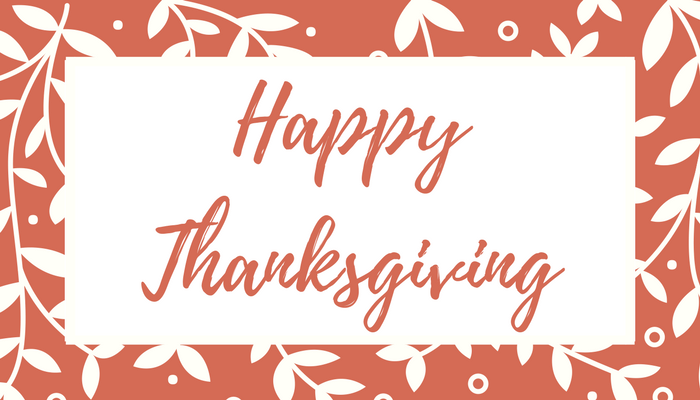 Thanksgiving is intended to be a time of counting our blessings and grounding ourselves in our gratitude, however it can be hectic preparing for the meal and celebration (and also a little crazy with Black Friday the next day!). If I start to feel stressed during weeks like this one, I just remind myself to “draw the box.” I think of the comments and issues from others as being outside my box, and I remind myself of the idea: what can I do in this moment. What can I control? Just taking a breath and thinking about the box produces a subtle but powerful shift; by shifting my attention off of my anxiety and stress, I can transition to a healthier mental and emotional state. If you are feeling stressed this week, try to draw the box (more info in Optimize for Victory). I hope that helps bring you some peace. Again, have a very Happy Thanksgiving and enjoy the time with loved ones. Previous Post This is too much. Where do I begin…?